We are delighted to invite you to a Coen Brothers retrospective! This is a limited-run series showcasing the amazing work of these legendary filmmakers. Covering a selection of their films from the 1980s through to the 2000s, we will be screening a pair of films each Saturday night in May. Doors and the bar will open at 6pm, with films at 7pm and 9:30pm, except for May 21st, which is part of Good Beer Week. On the 21st, it’s doors at 7pm, and films at 8:30pm and 11pm. Enjoy these great films in comfort, with your choice of a beanbag or deckchair, and feel free to bing a pillow or blanket to really relax and enjoy the show. Our screening of The Big Lebowski on May 21st is part of Good Beer Week 2016. Platinum Liquor and Shenanigans Brewery have created The Dude’s Abide Ale, a special White Russian Imperial Stout which will pair perfectly with our screening of The Big Lebowski. Doors open at 7pm for drinks and chatter before the screening, which commences at 8:30pm sharp. 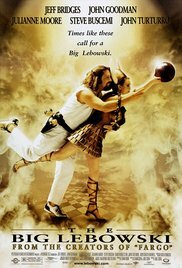 Tickets to The Big Lebowski are $33 and include a pint of The Dude’s Abide Ale, and a ticket to the show! All other tickets are $22 each. Tickets are available on our EventBrite page, except for The Big Lebowski on May 21st – they are only available on the Good Beer Week website. 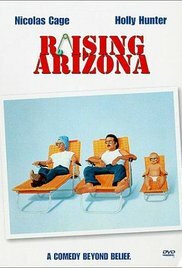 We start with one of Nicholas Cage’s early breakout roles in the hilarious dark comedy, Raising Arizona. 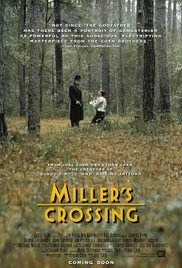 Then we stick with the dark but drop the comedy with the 1920’s mob thriller, Miller’s Crossing. May 14th: It’s Clooney Time! 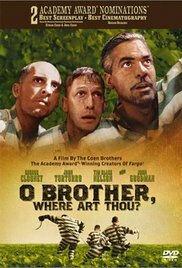 Homer’s epic poem The Odyssey is reworked into O Brother Where Art Thou?, a tale of three escaped convicts searching for hidden treasure in the deep south while a relentless lawman pursues them. With Intolerable Cruelty, the Coen brothers turn their hand to romantic comedy, with a tale of a beautiful gold digger matching wits with a shrewd Beverly Hills divorce lawyer. 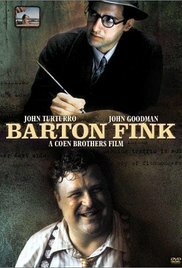 We jump into Good Beer Week with a pair of films starring John Goodman and John Turturro.We commence the night with a special screening of The Big Lebowski for Platinum Liquor and Shenanigans Brewing (details below), “The Dude” Lebowski, mistaken for a millionaire Lebowski, seeks restitution for his ruined rug and enlists his bowling buddies to help get it.We complete the night with a late showing of the rarely seen gem, Barton Fink, the story of a renowned New York playwright who is enticed to California to write for the movies and discovers the hellish truth of Hollywood. Nobody does bleak like the Coen Brothers.Tonight it’s two masterpieces. 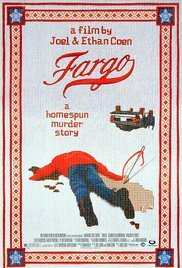 We get ready for winter with the 1996 black comedy, Fargo, the story of a crime gone wrong, bungling and murder, and a very pregnant police officer trying to get to the bottom of it all. 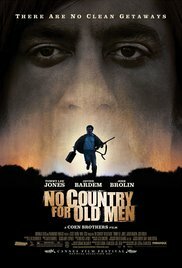 We finish the night and the retrospective with No Country for Old Men, where violence and mayhem ensue after a hunter stumbles upon a drug deal gone wrong and more than two million dollars in cash near the Rio Grande.